Session 285. Watching the wind all day. 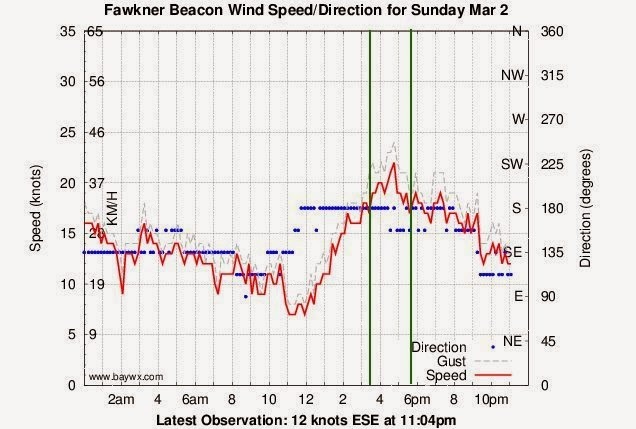 A light sea breeze arrived in the afternoon and got to 10 knots by 4pm so I headed down to Brighton. 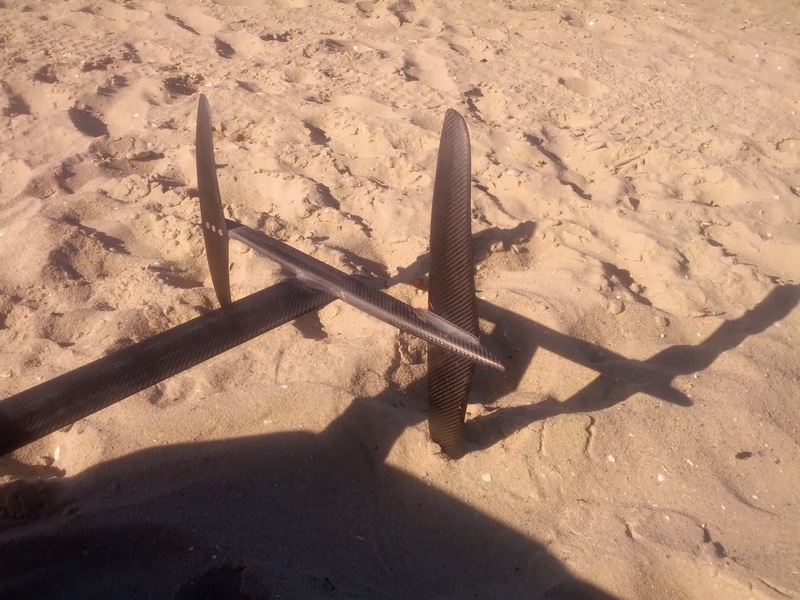 It felt like less than 10 knots on the beach as I pumped up my Lithium Zero. 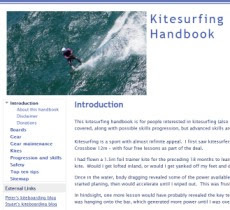 The kite was easy to launch and keep in the air, so I headed out on my surfboard. I was going well enough with the kite de-powered, but on the return tack I was loosing ground and heading in towards the Brighton Baths. Powering the kite (toggle adjustment) actually seemed to slow it down, so I depowered it again on the way back out. Decision time- bail out now or go downwind? I went downwind. I passed a couple of fishing boats then headed out past the Brighton Marina. Coming back in I was not going to make it to the sand so I went out again eyeing off the long section of rockwall downwind. I didn't go too close in as I was fearful the wind would drop out, but I wasn't going too far out either in case I had to swim in. I got some nice tacks in then landed at the south end of Elwood beach, passing a windsurfer along the way. 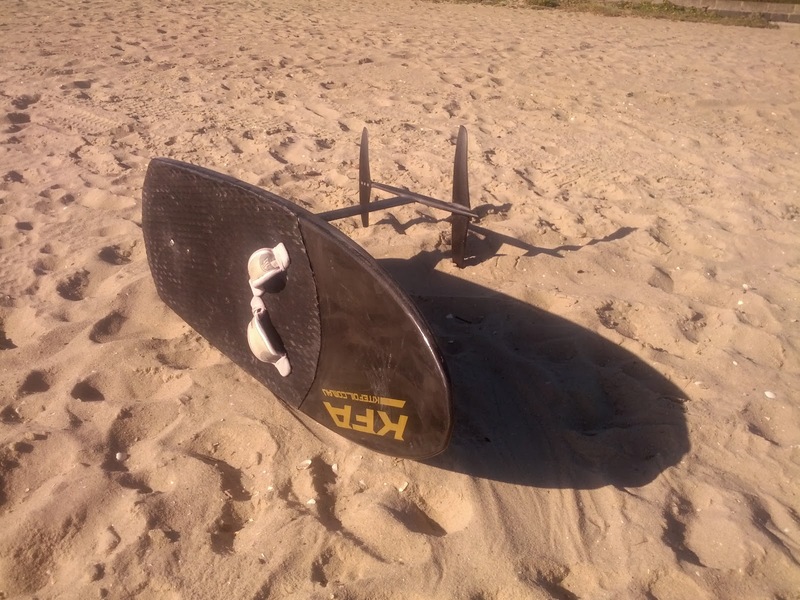 I landed the kite without difficulty in the light wind and chatted to the windsurfer on the beach - he had a new big sail but wasn't able to get going as well as he hoped. It was nice to be out though - nobody on the water other than fisherman and a couple of very noisy jetskis. It was a longish but pleasant walk back as the sun headed down to the horizon. The Lithium Zero flew well in the light wind, but I am still having a lot of difficulty staying upwind. Session 284. I was at Lara and Ash's lovely wedding in the Yarra Valley on Saturday and we returned to Melbourne on Sunday. I was keen to get in a session so I headed to Mentone in the late afternoon. There was some good wind when I arrived and few guys just finishing kitesurfing. The wind dropped as I a set up and got down to the beach. I couldn't really get going on the surfboard my Lithium 12 so I swapped to the Sector 60 board. What a difference! I was instantly going upwind fast. I did some long runs up to Parkdale and back to Mentone. It was nice to be out cruising when nobody else was on the water. I even caught some air launching of the waves as ramps. There was a full distance iron man triathlon in progress with runners streaming along the foreshore, most of them were not running very fast after the considerable distance they had already swum, cycled and ran. The wind dropped a little further so I called it a day, very happy to be on the water again. Session 283. 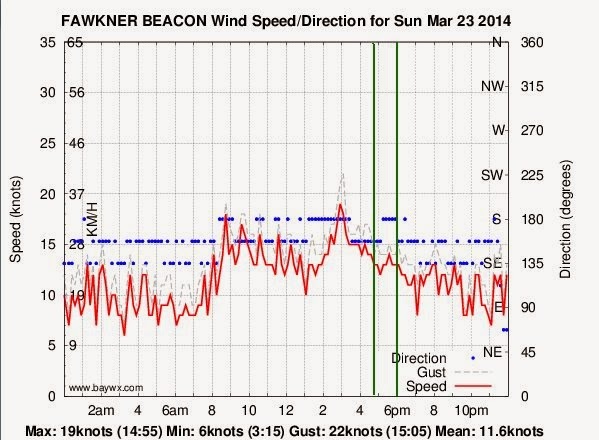 Got down to Gnotuk at around 7:30 to catch the forecast early north westerly. Stuart and James got there a bit earlier and were already out. The wind was not quite 20 knots so I took out my Lithium 12 and the S-Quad. 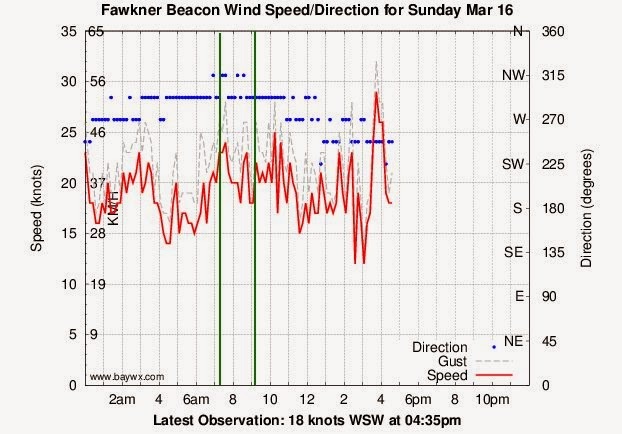 I was only just powered at times during the first 30 minutes as gusts came though (depower) and then some big lulls (repower). The air was surprisingly chilly so I wore my steamer. It was really nice to get out and ride some of the good swells and small waves on the beach. A couple of other kiters were about too. Then it came in harder at around 25 knots. I did a few runs fully depowered then decided to come in. I pulled the safety so the kite flagged onto a single line then followed the line to the kite to secure it. Stuart and James came in a short while later. I was contemplating heading out again on my Lithium 9 but decided not to push my luck. Me right leg was feeling OK so I decided not to overdo it. Some more crew showed up just before I left and headed out on smaller Airush Varial X kites. They were having a good time and the kites were handling the conditions well. I think I will demo one to see how it compares to the Lithium. Session 282. 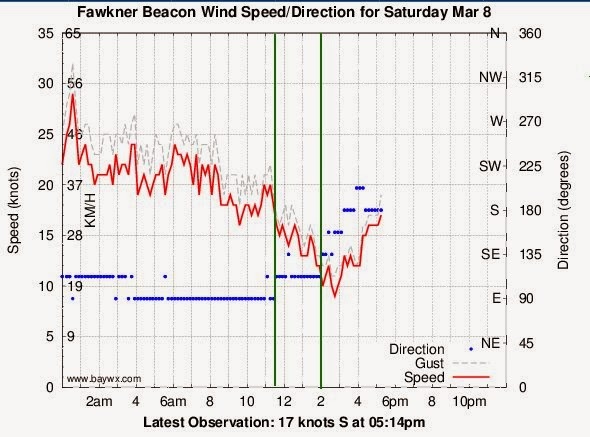 Got to Brighton at around 3:30 with a gusty northerly blowing at around 25 knots. I headed out on my Lithium 9 and had some nice runs. 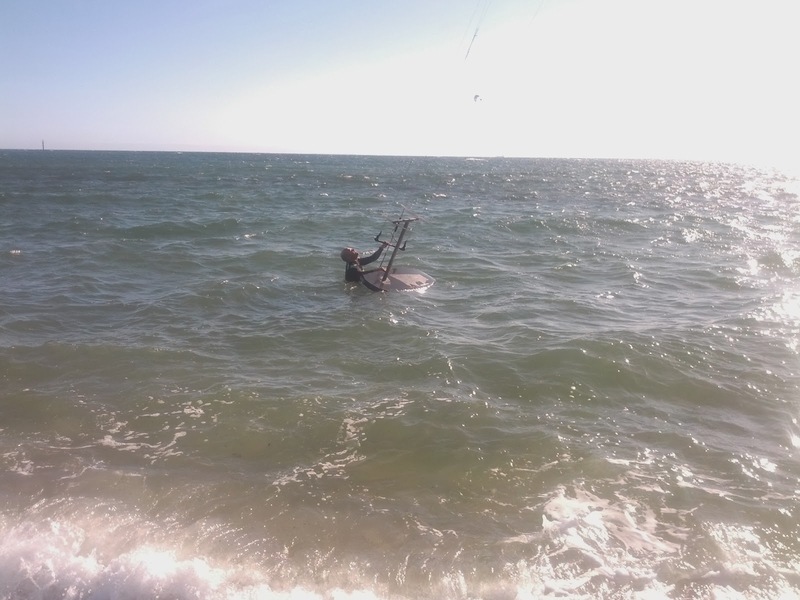 Then the wind gusted up over 30 knots so I came in overpowered and a kiter on the beach landed my kite. We watched the wind raise sand over a metre along the beach, only a couple of hardy kiters stayed out. I was contemplating pumping up my 7m Crossbow, but the wind dropped to around 25 knots again so I headed out for some more nice runs. There were a few people dropping kites and having some difficulties, but it seemed under control. I offered one guy a tow in but he self rescued and sailed his kite in. This was definitely not a good day for beginners - the wind was far too gusty and unpredictable - but I was keen to make up for some lost sessions! 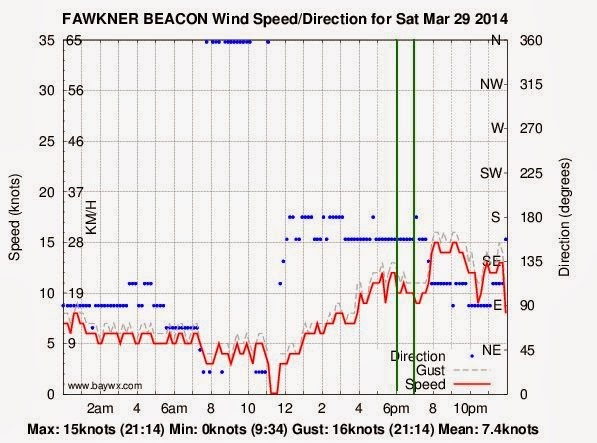 Some gusts were over 35 knots and there were storms visible across to Port Arlington and north of Melbourne. 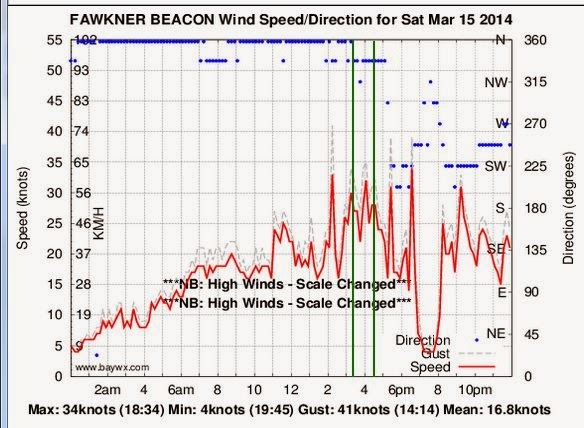 Check out the wind graph - some big gusts associated with storm fronts. Summer is over. Note: The GPS has not captured my full session due to operator error!